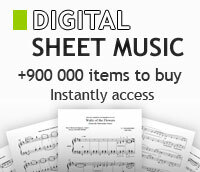 All Dowani trumpet sheet music. Books and CD to play along. Composed by J. S. Bach; Michael Praetorius; G. P. Telemann; Claude Gervaise. Arranged by Charles E. Callahan Jr. Non Hymn-Based. Baroque. Published by MorningStar Music Publishers (MN.20-616). Music Box Brass Quartet and Organ. By George Frideric Handel. Arranged by Jan De Haan. De Haske Ensemble Full Set. Published by De Haske Publications.